Do you really care about your security while surfing the Internet? You must do. Hackers and spammers always try to hack users, safe or spread spams and Trojans for their malicious users. So we must take extra precautions to protect yourself online.If you use Google Chrome for Internet surfing, you can use some nice extension to be safe. “Web Of Trust” is the best extension which helps you to detect whether a website is safe or malicious. 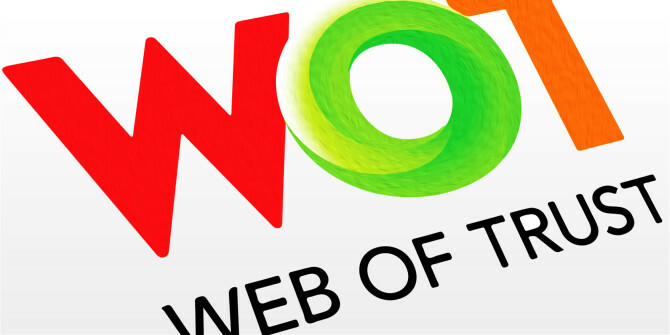 Web Of Trust is a nice online service that rates websites and helps users to know which website they can trust. This service is totally free and easy to use. This is the official extension of Web Of Trust. To install, Web Of Trust in your Chrome browser, visit Google Chrome app store and add this extension to Chrome. After installation of this extension, you will see a green circle type icon in the omnibar and it will open a page new tab. Here it will ask you to select the protection level. Select your desired one. Then it will also you to create a new account in WOT. It will help you to rate a website. WOT considers users’ rating to tell whether a website is safe or not. for quick signup, you can choose Facebook to connect. If you do not want to create an account, click on third step icon on the top. After that enjoy surfing the Internet. For safe websites, this WOT icon added on Chrome will be green. Whenever you will try to access a website that is potentially harmful, It will show red icon. For More details about the website, click on the icon and it will show you why this website is rated as safe or malicious. It will also show this icon just after the links shown in search engines. Thus, you can avoid visiting harmful websites. 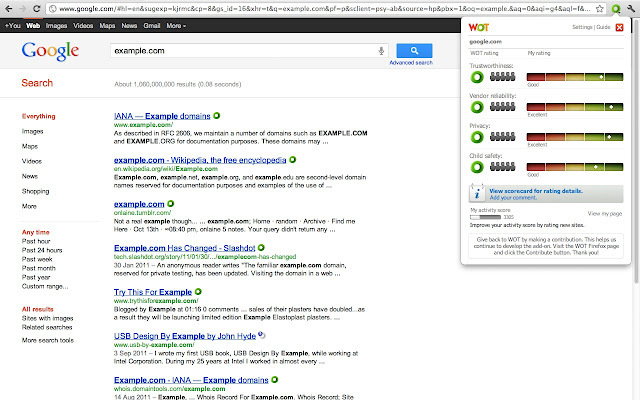 See the Green WOT icon in Google search page. If the search result contains the link of a malicious website, it will show a red WOT icon. I personally use this to protect my self from spam websites. What do you think about this? Do you think it is useful? Share your views with us.